Ceiling lighting is now the most popular lighting option. In this article we look at the most cutting edge of current lighting technology, LED lighting. Ceiling lighting, also known as concealed or recessed lighting, is now the most commonly fitted type of lighting in new homes and commercial premises. The latest and best kind of ceiling lights are LED (Light Emitting Diode) lights. LED lighting has several advantages over the other forms of bulbs and we will look at some of them in this article. LEDs have a much longer lifetime than conventional bulbs. An LED will last for as long as 50,000 hours of use, meaning that if you had the lights on for 8 hours every day of the year, it could be 17 years before an LED needed replacing. This compares to 1000 hours for incandescent bulbs, 2000 for halogen and 6000 for compact fluorescent bulbs. LEDs are unaffected by vibrating or shaking and are not so easily dropped and smashed. Incandescent bulbs are easy to break and fluorescent bulbs will release mercury when smashed. LED bulbs are also waterproof and are often used in swimming pools and bathrooms. LEDs operate at less then 600C so will remain cool to the touch, whereas conventional bulbs operate at much higher temperatures, which can result in burnt fingers. In addition, LEDs do not produce any ultraviolet light, which makes them more suitable for displaying paintings and other exhibits. LED lighting is available in a variety of colours and no colour filters are necessary. This saves energy and reduces the initial material cost of a lighting display enormously. Because LEDs are a semiconductor, they can be produced easily and controlled using a processor to create unique lighting effects. Replacing conventional bulbs with LED lighting could reduce your energy consumption by up to 80%. As much as 80% of the energy used by incandescent bulbs is wasted in producing heat rather than light. LEDs reach full brightness around one hundred times sooner than conventional bulbs. Energy saving bulbs can take a few minutes to reach maximum brightness. LEDs are therefore very suitable for situations where bright light is needed instantly, such as tail lights and emergency lighting. The lower operating current and voltage of LED lighting reduces what is known as the 'voltage drop'. The result of this is that LEDs require much less wiring than other forms of lighting, making them cheaper and faster to install. Even though they draw less power, LEDs are still brighter than conventional lights. LEDs deteriorate much less than conventional light sources. Typically, after 1000 hours of use, only 2% brightness is lost. LED ceiling lights are the ecofriendly option because of their lower power consumption, reduced material use and the fact they do not contain pollutants and mercury. Shirley Jones is an experienced architect specialising in environmentally friendy buildings and is a major proponent of LED lighting. She has worked as a consultant to several online lighting retailers in helping them to explain the benefits of LEDs to their customers. 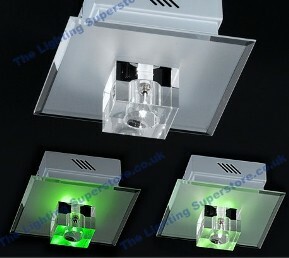 To know more visit this page http://www.thelightingsuperstore.co.uk/help/ledlighting.asp.